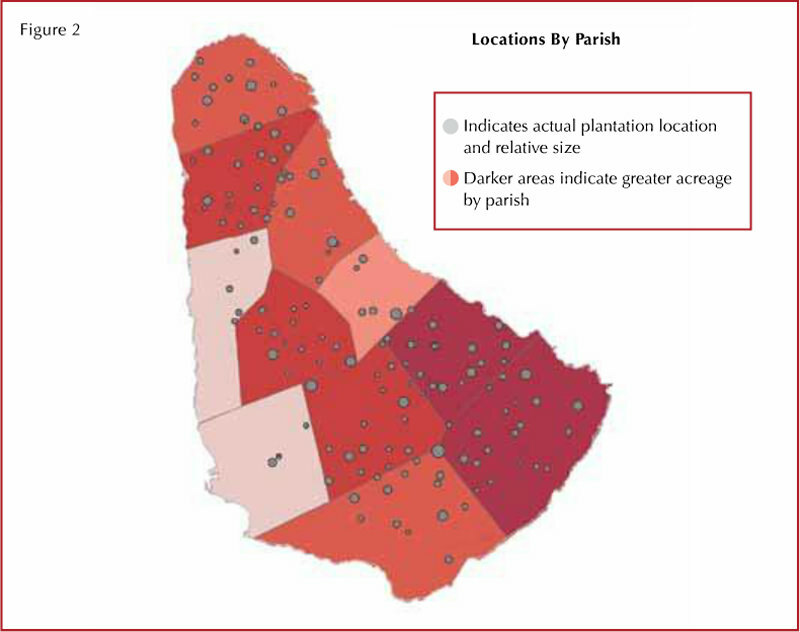 According to the land tax data, the total unimproved value of the remaining plantation lands is $693,791,2001, with the average value per acre being $16,424. 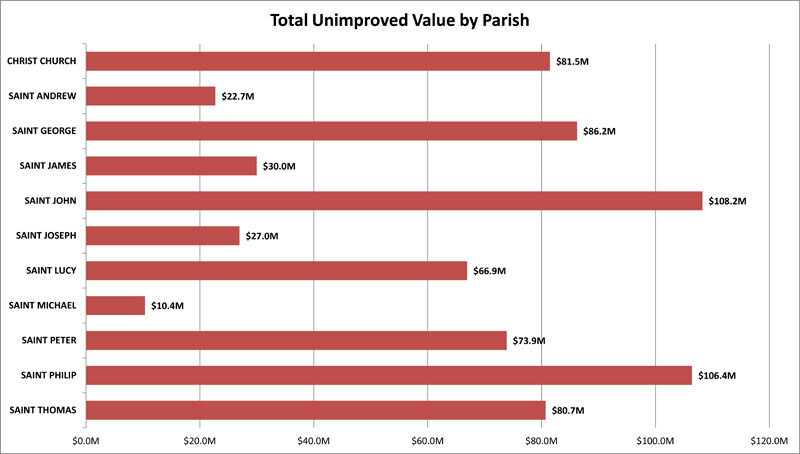 Figure 3 illustrates the total unimproved value of the plantations by parish. 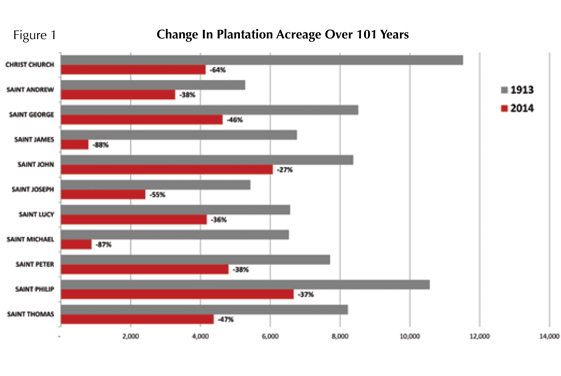 The issue of land use and specifically the conversion of agricultural lands to other uses, continues to be a hot-button issue with many facets. There are some favourable examples of conversions such as the Sandy Lane Estate, which was transformed into a world-class hotel and residential development and yet perhaps there are also some less favourable examples on the landscape. However, perhaps this ultimately depends on the lens through which they are seen. The Physical Development Plan Amended (2003) sets out the various policies that guide the various land uses and physical planning across the island. The plan is the third such one to be adopted since the first in 1970 and the second in 1986. According to the document, at the time of publication agriculture occupied approximately 53,275 acres. However, it states that land ‘continues to be alienated from agriculture at a rate of approximately 1,000 acres annually’. This would generally appear to support the data provided in the charts above. 1 This number reflects the 2012 assessment. All currencies stated in BDS$ unless otherwise stated.